“My name is Tatiana Matta. 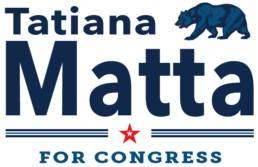 I am running for Congress to make sure our voices are heard in Washington. People in our district should not have to juggle multiple jobs to meet the basic needs of their families. Our seniors should be able to retire with dignity, and our children should never have to go to bed hungry. As your representative, I will always stand up against injustice and will fight to achieve health care for all. I will work to diversify our local economy and promote clean energy technologies. As the daughter of a public school teacher and school board member, I understand the crucial role education plays in lifting people out of poverty and will champion increased investments in our schools. I will support comprehensive immigration reform that reflects our compassionate values and meets our economic and national security needs. It is our country’s duty to care for our military veterans; as a military spouse, I will honor their service by driving legislation to bring resources to our district. I will work across the aisle to create an environment where education thrives, crime decreases and no one is left behind. I will fight for affordable housing, criminal justice reform, equal pay, paid family leave and access to childcare for working families. Tatiana is the proud daughter of a public school teacher. She holds a Bachelor’s Degree in Criminal Justice from the Metropolitan University and a Masters Degree in Strategic Public Relations from the George Washington University. Tatiana lives at Edwards Air Force Base with her husband and son. 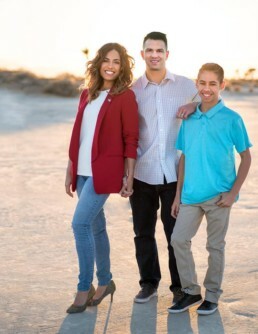 After her husband joined the military almost a decade ago and experienced the hardships as a military spouse, Tatiana became an advocate and voice for military families around the country. She has worked with military leaders to secure resources for service members and their families. She was presented with the Air Force Volunteer Service Award by the Chief of Staff of the Air Force for her sustained contributions to the military community. Tatiana currently serves as a Governing Board Member for Muroc Joint Unified School District, as well as a Board Member of the Military Spouse Advocacy Network. Throughout the years she’s served in various capacities in nonprofit organizations; including Vice President of Development and Program Manager for MSAN, U.S. Air Force Key Spouse, Welfare Chairman, and volunteer for the USO & Operation Homefront.  In 2016, Tatiana served as the Co-Chair for Veterans and Military Families for Democratic presidential candidate Governor Martin O’Malley. As a member of his Veteran’s Task Force, she provided subject matter expert advice, conducted comprehensive research, and made national policy recommendations for veterans and military families issues.